products (AGEs). This results from excess sugar in our blood stream attaching to collagen making it tough and aging it before its time which leads to wrinkles. The sugar-protein bonds form new molecules called AGEs. Over time they become more permanent and affect the ability of our fibroblasts to create collagen and they also produce free radicals increasing the aging process even more. To help combat AGE-ing one should look to their diet and their skin care regimen. By maintaining a healthy weight, exercising regularly and taking Elevate, excess blood sugar will stay low leaving less available to affect our skin. The food industry has also added AGEs to our diet by adding sugar to food and processing them at high heat. We are introducing the end product into our bodies by consuming things like french fries (yes they add sugar to them to make them tasty), barbequed meats and soda. AGE-ing occurs in our bodies just as it does in our skin and can lead to damaged DNA and disease processes. Elevate contains niacin and AC-11. These two ingredients will help prevent and diminish the damage that can occur from AGEs while reducing excess sugar in the body by fueling energy production. So there is less sugar available to cause damage and ingredients that repair and prevent the damage from AGEs. Topically certain ingredients can help prevent AGE-ing when used daily. Vitamin B3, niacinamide, has been shown to decrease glycation and thus the advanced glycation end products that wreak havoc in our skin. 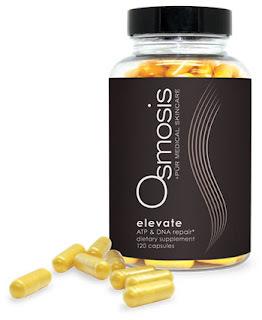 Many of the Osmosis serums contain niacinamide because it is an important ingredient to support skin health and maintain youthful function. 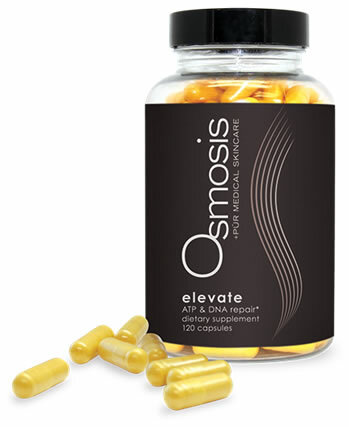 So help stop AGE-ing in its tracks by taking Elevate and using Osmosis Vitamin A Serums daily. Your skin and body will thank you! One of the best product for aging skin is Dermology anti-aging cream for women. I am using it from 1 year and quite happy with the results. I really like your post. It’s very informative and interesting. I really appreciate that.thanks for sharing information with us.